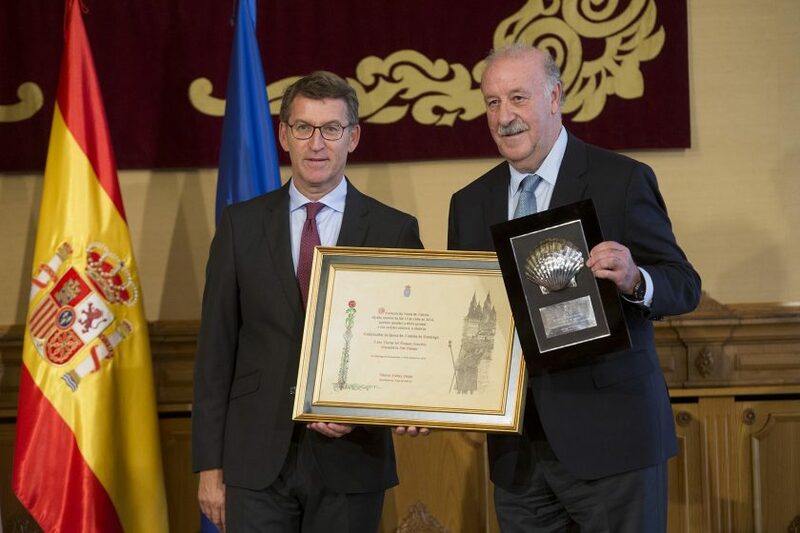 The President of the Xunta de Galicia, Alberto Núñez Feijoo, awarded the former national football coach, Vicente del Bosque, the title of Honorary Ambassador of the Way of Saint James. The coach received the distinction in Santiago de Compostela, at an act with sports and political personalities present. The life title of Honorary Ambassador of the Way of Saint James was created by the Xunta de Galicia in 2013, King Felipe VI was also recognised with this distinction, as well as the Acting President of the Government, Mariano Rajoy.